The hit Transformers prequel will roll onto both formats in April. Daniel-San is set to wax-on 4K for the classic film's 35th anniversary in April. Mark Wahlberg, Rose Byrne, an army of zombies, and more are all heading to Blu-ray. The WWII horror-thriller is now up for pre-order at Amazon. The best Transformers movie in over three decades will roll out on home video in the new year. The newest entry in J.J Abrams' Cloverfield sci-fi franchise and Jonah Hill's directorial debut both headline our latest crop of upcoming Blu-ray releases. 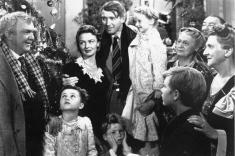 Frank Capra's classic holiday film will be hitting 4K with a new remaster this month. Films starring John Cho, Rose Byrne, Charlie Hunnam, Emma Roberts, and more are all heading to Blu-ray. The latest entry in The Conjuring franchise, a big screen creepypasta adaptation, and more are heading to Blu-ray. MISSION: IMPOSSIBLE - FALLOUT Debuting on 4K Ultra HD Blu-ray & Blu-ray in December! The latest action-packed film starring Tom Cruise is now available for pre-orders at Amazon. The first season of the latest Star Trek series will be warping to Blu-ray in November. The full story behind one of Hollywood's most expensive mustaches has been revealed. Check out the latest crop of upcoming Blu-ray releases.